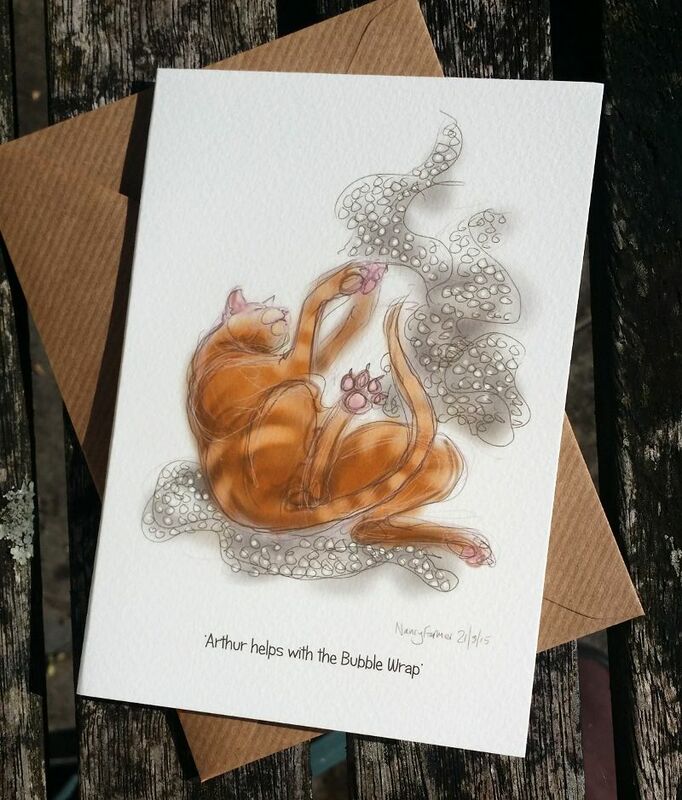 From my Cat-of-the-Day sketchbook blog I have made a little range of Cat greetings cards, many of which feature informative notes on the Logic of Cats. These may prove most useful to Humans, who often fail to understand the motives and innate helpfulness of these charming creatures. The current range can be seen in my Etsy Shop, and wholesale prices are also available if you would like to email me. One year, two calendars: Cats & Swimming for 2016.